Lately, I've been hearing an awful lot about something called "Strobing". Unfortunately it isn't anything to do with the club-based lights of the same name, though that's the first image it conjures up. Obviously I had no idea what it was all about, so I did a little bit of digging to see what all the fuss was about. Quite simply- highlighting! But not just your standard routine highlighting, Strobing is where you highlight your face excessively to give your skin that extra sweaty glow. Now usually in the summer months I tend to go a bit OTT on the powdering, as this is when my skin gets a little oilier than usual, particularly the T-Zone. However I've been weaning myself off it lately, from dusting the T-Zone and touching up at lunch, to now dusting it only once and leaving it for the rest of the day. I guess this 'summer', if you want to call it that, I've been embracing the glow! 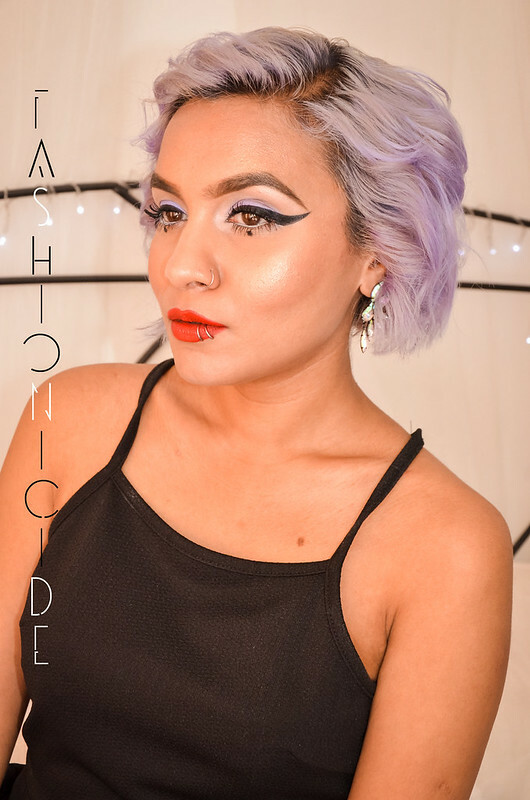 As with all innovations and trends within the beauty world, there are all sorts of different techniques floating about on the net for strobing, however I choose to apply my highlighter to the inner corners of the eyes, the brow bone, top of the cheekbones, the chin, bridge of the nose, cupids bow, and just above the arch of the eyebrows - not necessarily in that order though! Usually, I would have gone way overboard with the Lightscapade. I've had it so long I can't remember when I even bought it (I'm thinking 2009 or 2010? ), it really is timeless. But, I decided not cover myself in it, as I tan so quickly and darkly that all this sun has taken me up a shade or two. This means my beloved Lightscapade looks too subtle at the moment, which is no good for strobing! Failing that then, I moved on to MAC's other little gem - Gold Deposit. As I've mentioned in a previous blogpost HERE, it's much more flattering for darker or, in my case, tanned skin tones. The intense pigmentation means that it's best to just lightly apply this on top of the cheekbones and above the arches of the eyebrows, I don't want to look like a buddha statue or something. 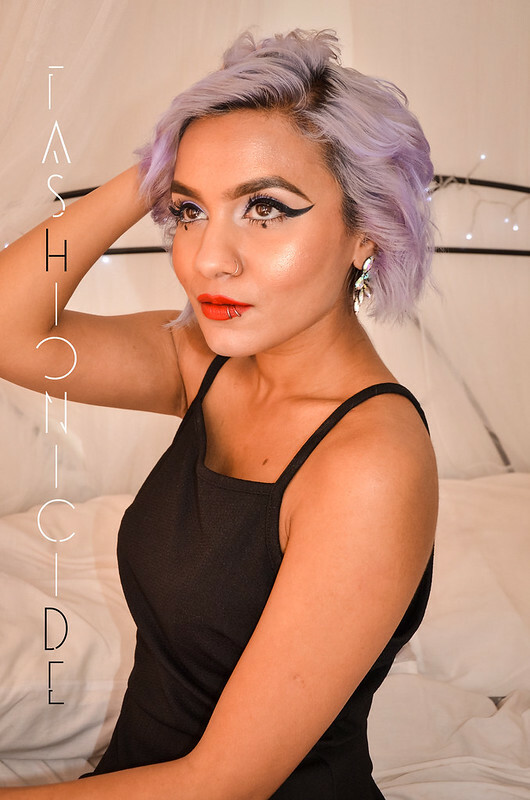 Thinking about it now, Lightscapade must have been the first highlighter I ever blogged about and having re-read it, I'm going to reluctantly link to it HERE I mean, all I can say is EL-OH-EL at the entire post. How things change! Oh, and MAC did make all my dreams come true, and have now established this in their permanent line! VICTORY! 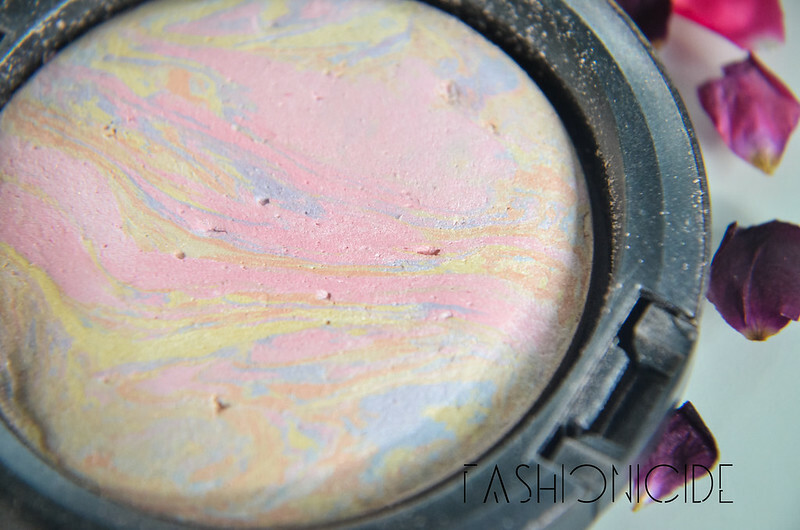 What I like so much about Lightscapade isn't just those veiny swirls of pastelly pinks, blues and everything else they've thrown in there, it isn't just that it looks like a mini Jupiter, but I find that it really does give that candle-lit glow to the face. It never appears shimmery on my skin, it's more frosted and quite subtle. Despite that subtlety, it looks so other-worldly on the skin once blended in. But a tale of caution with this, apply too heavily and it can look stark against your skin, and the white will start to show through, and that's no good for the darker skinned ladies (and gents) out there! I remember wearing this on one of my various London trips a few years back when this was still limited edition. 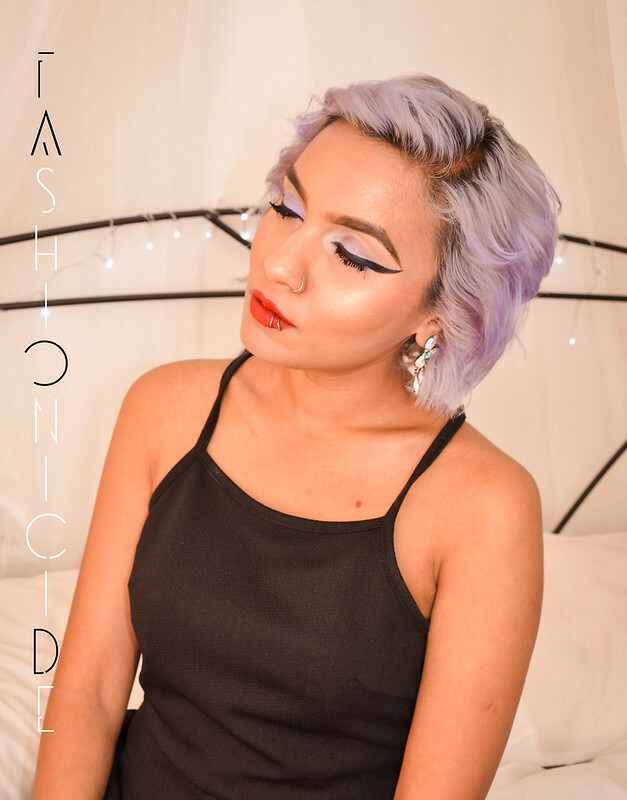 My friend Mina (former blogger and Space NK worker) asked what highlighter I was wearing, so I let her take it for a spin and she was instantly besotted! I'm going to make it a life goal to figure out how to photograph highlighter. The first batch of 10 or so photos were taken in natural light, but it was only visible if you strained your eyes reeeeeaaaally hard. So I had to resort to flash, which I cannot tell you much I dislike, but actually it worked out pretty well this time out. I'm still not 100% convinced you can see the highlighter as much as I could in the mirror, but you can clearly see that my face is far, far glowier than the rest of my skin. 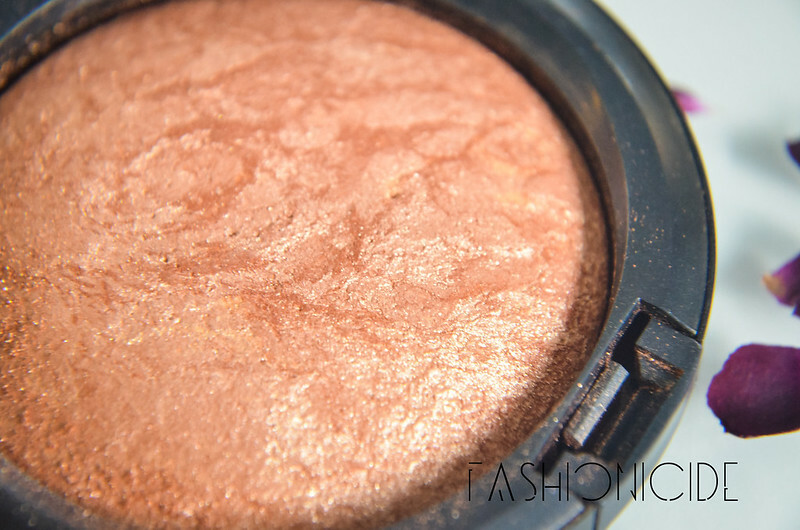 This is the whole point of Strobing, to light up your face in all the right places. I have to say that I much prefer this 'trend' to contouring. I've never really been all that big on it, however I probably have my parents to thank for that, as I've been blessed with well-defined and structured cheekbones already (sit down Lima). 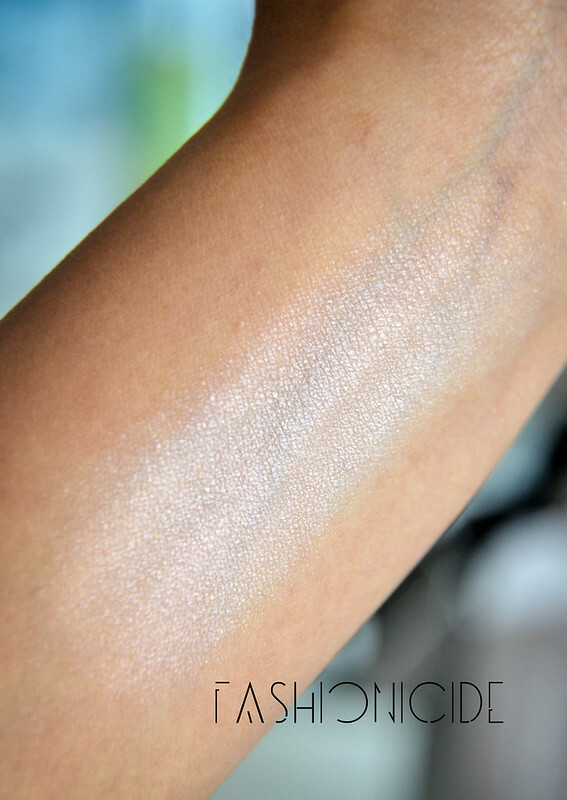 Also, more importantly, Strobing is far simpler than contouring and will take you just a few minutes to get it right. Have you tried Strobing yet? What did you think of the results? Comment below and let me know! 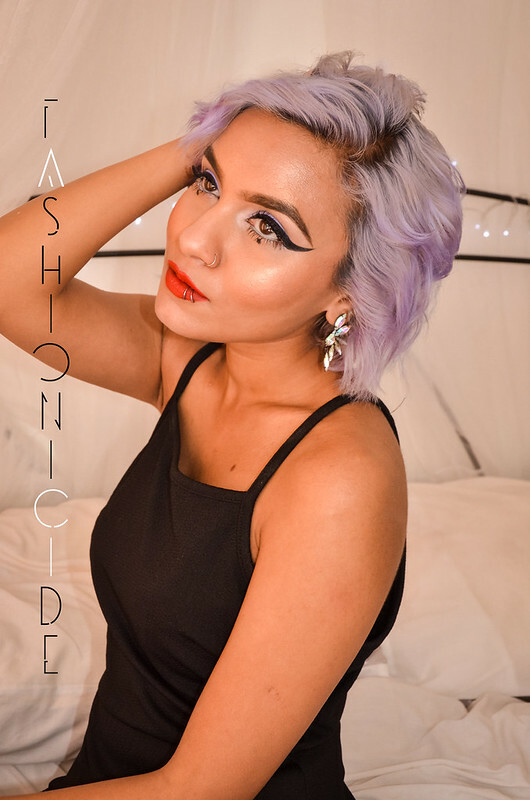 I'm also curious to hear of any other makeup trends you've been seeing a lot of lately, and are they all they're cracked up to be? Strobing; finally I have a name for this crazy obsession I have for highlighting my face. 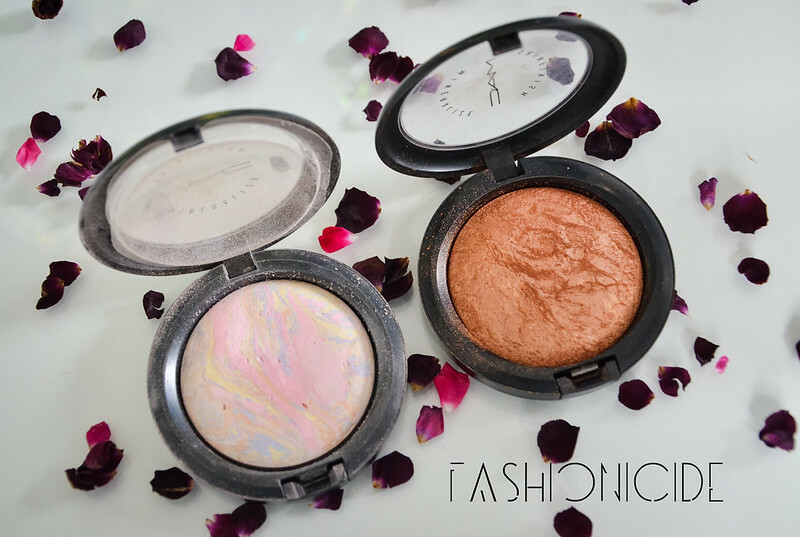 You're review for these two highlighters is spot on, I love Lightscapade still from the very first moment I tried on myself that blessed night ;) Gold deposit is excellent too, I defo made the most of this on my last trip to the Maldives, it catches light soo well on tanned skin. I have to say though this reminds me of THE best highlighter i have ever owned, and i write this with a heavy heart because before I discovered how amazing it was, it was out of stock! Limited editions.. arghh! Surprisingly it was a drugstore brand, Collection2000 and the highlight I can only describe as very similar to Mac's Lightscapade with the warmth of gold deposit... I KNOW!!... it was perfect, i went through that highlighter in just under a year.. yup you heard me i went over killed with it - that's how great it was for tanned skin! I used to use strobing a lot before I even knew it was called that. I used to concentrate a lot of it around my eyes and eyebrow. I've heard a few people say that since I posted, it seems that there have always been people who do this, but never really gave it a specific name! Love this review as I was a bit lost with this technique. Thanks for sharing these swatches as I wasn't too sure what would work with my skin tone, love! I love everything about this look! You look fab. I'd heard about strobing but didn't know what it was exactly, but as I read your post I realized that I've been doing that for a little while now. I read about it in some site but they didn't name it anything. It was just one of those "makeup artists recommend this!" type of things and it really does work. I'm not a fan of contouring either; I think this looks way more natural, or can look natural or glam, depending on the look you're going for. Oh I have never heard of strobing before, you makeup is awesome. Lightscapade looks so pretty! You are the first I've seen try strobing. Too many people commented saying it didn't look good for daily life, just pictures. I don't have any highlighter yet to try it out on myself. You look stunning! Lightscapade looks so pretty in the pan but it would probably be too light on me. I definitely have to pick up gold deposit. Ahhh Lightscapade, has to be one of the nicest pictures I've seen of it. Looks so cosmic. Strobing yes, I love how they just renamed 'highlighting' as strobing to make it sound so new and IT! It's refreshing though, I've read that mua's are using it as the new contour instead of doing the contouring and it's definitely easier. Strobing for a more subtle and glowing look to carve out the face. You and those cheekbones, I want to be re-birthed by your mum and get those CHEEKBONES. UGH! I love how you've done it, the light hits and pops the cheeks.